Manchester United have taken the lead against Saint-Etienne through Zlatan Ibrahimovic and a huge slice of luck. 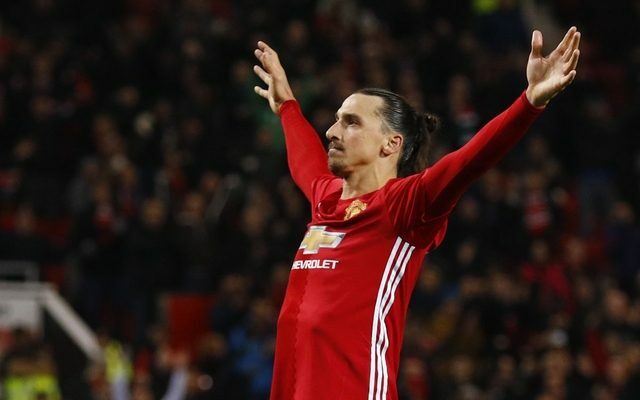 Ibrahimovic, who is somewhat of a specialist from dead-ball situations, will not be ranking this as one of the best he has scored in his career. The Man United talisman attempted to fire the ball under the wall, but it took a deflection off the Saint-Etienne defender, wrong-footed the goalkeeper and found it’s way into the back of the net. Advantage United.